Middleton Accounting & Consulting will work with new and developing businesses throughout Ridgway and the Western Slope area to help simplify business formation and incorporation procedures. 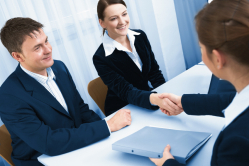 We offer a FREE initial consultation to business owners. Email us or call us at 970-626-3850 and ask for Scott Middleton today. Copyright - 2019 - All rights reserved. Accounting Website Development by Build Your Firm, designers and developers of Search Engine Optimized websites for accountants and CPA firms. Middleton Accounting & Consulting is a Ridgway CO CPA firm. Our clients are located in towns like Montrose, Ridgway, Telluride, Olathe, Noel, Dallas, Ouray, and more.